Split entry bathrooms are designed to separate the bathroom into two separate compartments dedicated to discrete functions. Split into a wet full-bath zone and a dry storage and entry area, the split entry bathroom is an efficient layout that adds additional function to the standard central full-bath plan. 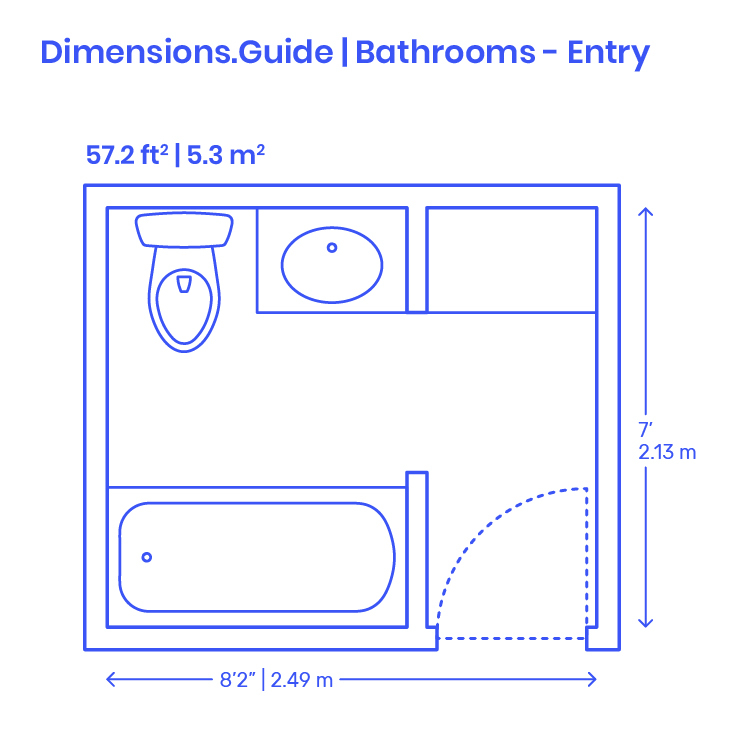 Smaller than split bathrooms, split entry bathrooms have a typical minimal length of 8’2 | 2.49 m and width of 7’ | 2.13 m.